Recently I've been reflecting on my digital photography, which has given me much pleasure over the years. As I was looking back through my catalogue of images, I came upon this one of a beautiful autumn tree with a rainbow. Created at the Coburg Lake Reserve in Coburg, Melbourne Victoria, I remember the day was showery and every so often some stunning lighting enhanced the scene. Hope you enjoy viewing this image as much as I had in creating it. This image can be purchased in various products at Redbubble. Click link here for details. How do you feel when you're considering a new aim whereby potentially making your life more fulfilling? When was the last time you were so passionate about something you wanted to achieve? Hope is a belief and it can be a motivating force in driving us towards achieving our goals. 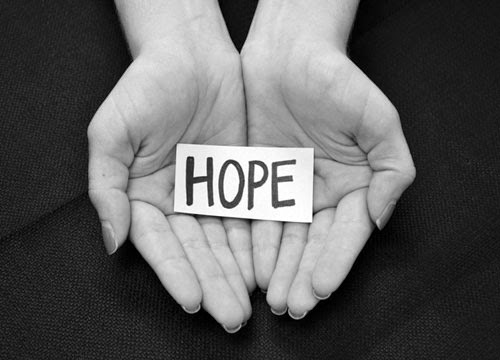 Hope is also a belief that can lift our spirits when we're experiencing challenging times. By commencing the journey to pursue some of these goals, we can begin to experience positive feelings and enhance our wellbeing. The tangible results could soon be a healthier lifestyle and increased level of confidence. If we select a couple of achievable goals and begin taking action, we will move from the hope stage to feeling a sense accomplishment. Each step we take is a small measure of progress, and the more steps we take, the further along the path we are towards achieving our aims. Be a strong believer in hope. Contemplate and plan, and then take action so your hopes can become your reality. 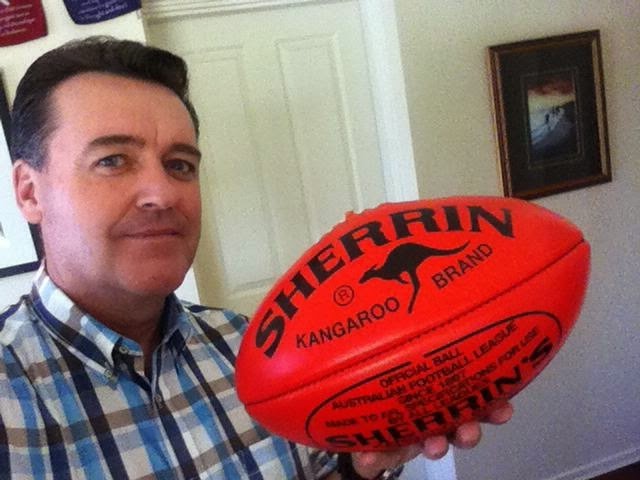 What a great game footy is, and what a great sport for improving and maintaining our mental fitness. For this article, I'm referring to Australian Rules Football, however you're welcome to reframe the following tips, suggestions and comments to align with your favourite football code. We don't have to participate in an organised match to reap the benefits of running, sprinting, kicking, handballing, and bouncing. With a little thought - and a pen and paper - we can create our own mini games, drills, and exercises and incorporate the use of a football to improve our fitness and wellbeing. So you don't have a football, and it's been decades since you've either owned one or kicked one. Maybe your footy shorts are tighter, your trophies are collecting dust, and you can barely recall matches where you were best on the ground. Now is the perfect time to break through your own banner and journey to a sports store to grab your new footy. Don't handball this responsibility to someone else - give yourself a pep talk and stay in the game with me. Be your own umpire, blow the whistle if needed, and award yourself a free kick for your effort. Doing this will put more bounce in your step. While you're there selecting your footy, consider buying a few orange disc marker training cones to place on the ground for a few drills. Let's jog for 50 metres from the goal line to the 50-metre arc and bounce the ball with our right hand. Then let's turn around and jog back to where we started whilst bouncing the ball with our left hand. Let's place five disc marker training cones 10 metres apart between the goal line and the 50-metre arc and bounce the ball when we reach each cone. We can repeat this drill five times to further develop our fitness. As we make progress, we can run faster and repeat the drill 10 times. Don't baulk at the opportunity of running out on to the ground if the weather is cold. Let's put on our team jumpers and beanies, get out there and run, and twist and turn as if we are dodging opponents. We will find ourselves warming up quickly and achieving new goals before the final siren. If you happen to miss a training session, that's okay. There's no need to appear at the tribunal due to misconduct to explain your actions, because there's always tomorrow to get back into the game and kick some more goals. At the end of our training session, let's be our own coach and tell ourselves how well we played. Let's say to ourselves: "Great match, we played well, and we were the best players on the ground."